The James Beard Foundation has announced that Sean Sherman, a member of the Oglala Lakota Sioux nation from Pine Ridge, South Dakota, and founder and CEO of The Sioux Chef, will receive a Leadership Award for his work in helping Native Americans reclaim their historic food and agricultural systems. Sherman is one of five award winners. The winners of the leadership award have included a wide range of food justice leaders. Five awardees were named for 2019. This year’s winners, in addition to Sherman, are the Massachusetts-based Pioneer Valley Workers Center; Cornelius Blanding, executive director of the Federation of Southern Cooperatives-Land Assistance Fund; Leah Penniman, co-executive director and program manager at the upstate New York-based Soul Fire Farm; and Anim Steele, executive director of Real Food Generation. Each winner will receive, in addition to the award itself, a $10,000 cash prize. Sherman’s award marks the first time a Native American food leader has won an award in the “Leadership” category since its creation in 2011. Last year, however, Sherman himself won a Book award from the Beard Foundation for publishing the best book in the American cuisine category, alongside coauthor Beth Dooley, for The Sioux Chef’s Indigenous Kitchen. “We’re trying to raise awareness of the history of the land and on how to live sustainability on what’s around us,” Sherman said to Hilleary. Sherman notes that much of his work centers on recovering the cuisine that existed among American Indians prior to the arrival of European settlers. On reservations, American Indians were restricted in their rights to hunt, fish, or forage, and thus forced to make do with US Army rations of flour, lard, and salt—which were later replaced by the commodity food program. 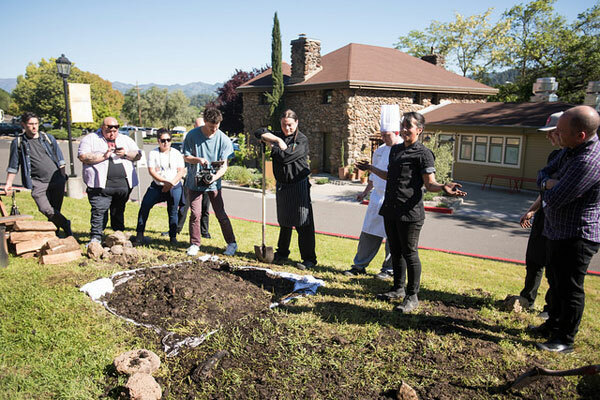 In 2014, Hilleary notes, Sherman launched “Sioux Chef,” an obvious play, she notes, on “the French term sous-chef, the number two person in any restaurant kitchen.” The catering business, Hilleary adds, brings together “chefs, food preservationists, botanists, and enthusiasts” from American Indian nations, with the common goal of restoring pre-contact diets.